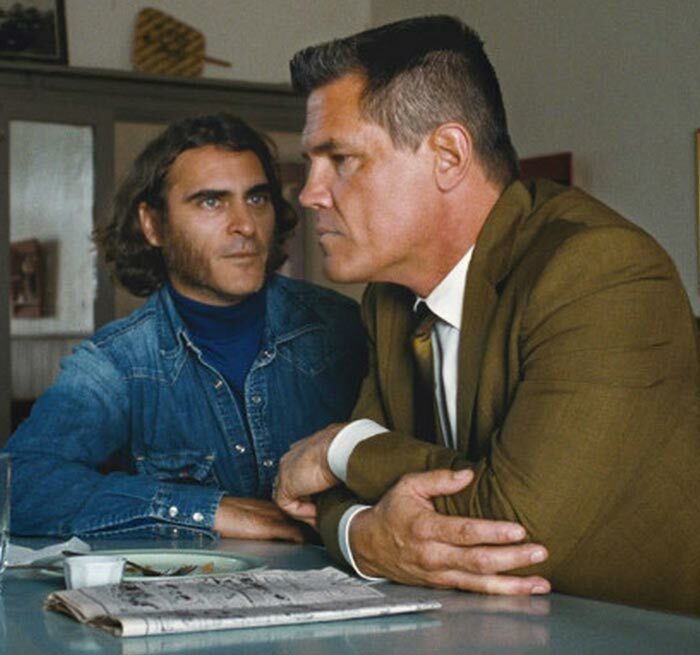 As all Pynchon fans know by now, “Inherent Vice,” the first film adaptation of a Pynchon novel, is directed by Paul Thomas Anderson (“Magnolia,” “Boogie Nights,” “The Master”), and stars Joaquin Phoenix, Josh Brolin, Owen Wilson, Katherine Waterston, Reese Witherspoon, Jena Malone, Joanna Newsom and Benicio del Toro. (Full cast at IMDB) Warner Bros. opened “Inherent Vice” in select runs on December 12, 2014, before the wide release on January 9, 2015. The premiere screening of the film was at the 52nd New York Film Festival on October 4, 2014. This in-depth interview with Paul Thomas Anderson, in the Sept 28, 2014 edition of the New York Times, is a great inside look at the movie and collaborating with Thomas Pynchon.